Welcome to the first in what will be a series of articles exploring the luxurious side of our favourite alpine resort. We hope that in the coming years this blog will serve as a compendium of the best that Verbier has to offer, as well as drawing your attention to a few of the towns secret hotspots and local hidden gems. As the new year is upon us, bringing an air of optimism and change, we thought it fitting to start with an overview of the changes that have taken place in Verbier since last season. There has been a marked transformation across the resort, from subtle nuances which serve to enhance an already perfected ideal, to bold statements of intent that stand to be judged on their merit alone. The new development at Place Blanche certainly falls into the latter camp. Where once lay the disused Medran car park replete with decommissioned chairlift now proudly stands the beautiful new Trois Roc development. This project has been in construction for the past 3 years, and its completion has been eagerly anticipated. It is centred around the ski-in piazza that is Place Blanche, a diversion from the traditional path down to Medran, giving skiers a much more social route to end their days skiing. As well as the more obvious benefits of a wider avenue for departing skiers, the square has an apres ski bar, with a DJ pumping out the latest tracks, and live music. Flanking the far side of the square is the new Mountain Air ski shop and attached restaurant Le Bec. We were particularly impressed when we paid a convivial visit to the premises last month. The shop is built on a scale that is unheard of in the alps. There are two floors linked by escalator, a huge upstairs boutique called Hot Air that caters for those fashionistas that prefer angora to goretex, and a ski shop of grand proportions on the lower floor, stocked with the latest innovative brands, a large specialised boot fitting area manned by the irrepressible Nick Hammond, boot fitter extraordinaire, and an excellent rental area with huge inventory. Certainly, the bar has been raised for retail spaces in Verbier. Just adjacent to Mountain Air is the new Le Bec brasserie. I wont go into too much detail here as I will be covering all the newest and best restaurants in another feature, but suffice to say that Le Bec has executed its brief with some panache, the brasserie style food is refined yet totally appropriate, as is the relaxed atmosphere. The remaining side of the square in dominated by the new W hotel. The much heralded brand chose Verbier as a first for its mountain retreats, and has created a beautiful hotel of impressive size, but with the proportions and façade that help it blend seamlessly with its alpine setting, albeit with a sleek contemporary edge. Inside the hotel, honed and polished stone floors dominate, a tiered bar with spectacular vista sits alongside two restaurants; the brasserie Cafe W, and Arolla, headed up by two michelin starred chef Serge Arolla. The hotel also features a comprehensive spa and pool and treatment area. Although Place Blanche is the most recognisable change to the verbier scenery in recent years, some other notable project have been completed over the summer. The spa at the Solmai has now opened its door for business, the aging seasonaire hangout the Tbar has gone upmarket with a complete refit and is under new management and Coup d’etat has has been transformed into Twin Peaks, replete with coyote ugly style barmaids. The much vaunted Casbah is now in is new location next to the Tbar, in the venue that was Public last season. 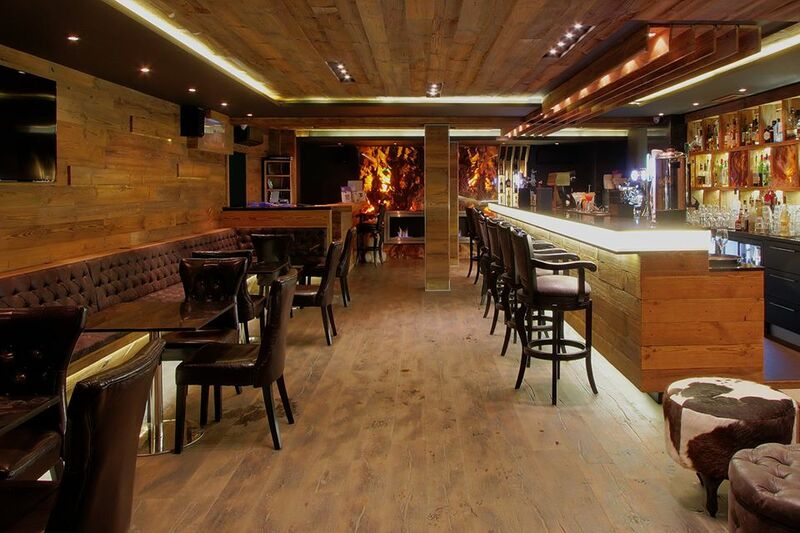 A feature on all the Verbier nightspots is in the pipeline! Finally, Televerbier have made a huge investment in the resort infrastructure this summer, significantly improving the facilities on the mountain with the opening of the new restaurant at gentianes and cuckoos nest above olympic. A modern new high speed gondola now conviently links Le Chable to the Pasay chairlift in Bruson, opening up verbier’s powder filled treelined little brother to daytrippers and seasonaires alike. The antiquated two man chairlift at Plan de Fou has similarly been upgraded to a very room gondola that links the Nendaz ski area with Siviez and the Tortin Valley, and in Thyon a new gondola at Les Masses offers a much quicker turn around for skiers returning from the beautiful Greppon Blanc descent, which is no longer maintained as an itinerary. With so many new project afoot make sure you stay tuned to this blog to get the inside scoop on all these exciting developments and the best that Luxury Verbier has to offer. Till next time, Salut!